The baptism of a child is a joyous occasion for a family, but it is also a joyous occasion for the parish as we welcome a new member into our faith community. At baptism, the parents accept the responsibility to bring up the child in the practice of the faith. They become the first teachers of the faith for their children in what is called the Domestic Church. In order to better help parents understand this responsibility and to start them off on the right foot with regards to their faith parents who are preparing to have their child baptized are required to attend our Baptismal Preparation Program. This faith-enhancing gathering helps to deepen their understanding of the special sacrament in which they are to participate. It also allows them to hear the reflections and personal experiences of some of the ministry members concerning the baptism of their own children and the experience of living an active Catholic family life. 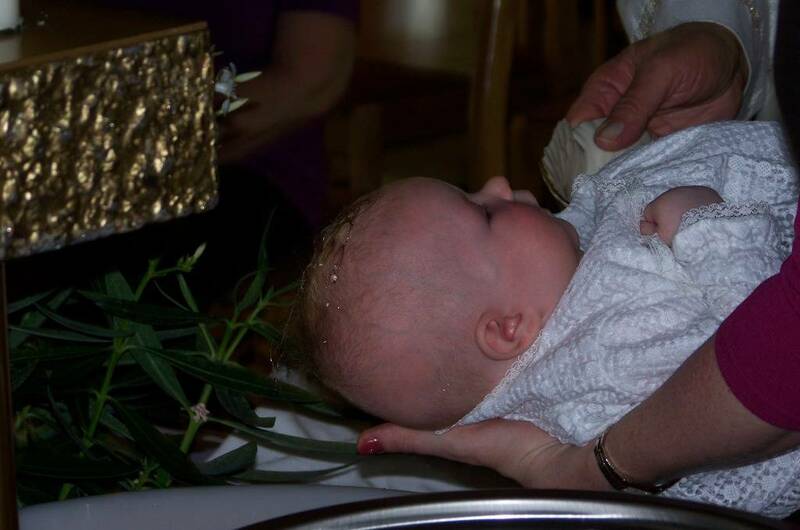 Pre-Baptismal preparation sessions are required and are scheduled for the even-numbered months at 12:30 pm in the Parish Hall. Please call the parish office for the next session and to register. Baptisms are celebrated either during Mass or outside of Mass by arrangements with the Pastor. Godparents/Sponsors must be active, practicing Catholics in good standing with the Church, at least 16 years of age having received all of the Initiation Sacraments of Baptism, Eucharist and Confirmation. Godparents/Sponsors who are married must be in a valid marriage in the Catholic Church. Parents are not permitted to be a Godparent. The Catholic Sacrament of Reconciliation (also known as the Sacrament of Penance, or Penance and Reconciliation, or sometimes referred to as Confession) has three elements: conversion, confession and celebration. In it we find God's unconditional forgiveness, and as a result we are called to forgive others. Reconciliation is celebrated on the first Saturday of each month at 3:30 PM or by appointment. The Second Vatican Council and our parish’s Mission Statement affirm that: “The Eucharist is ‘the source and summit’ of the Christian life.” All of our faith life, service and relationships are centered on the Eucharist. The other sacraments, and indeed all ecclesiastical ministries and works of the apostolate, are bound up with the Eucharist and are oriented toward it. For in the blessed Eucharist is contained the whole spiritual good of the Church, namely Christ himself, our Pasch. "The Eucharist is the efficacious sign and sublime cause of that communion in the divine life and that unity of the People of God by which the Church is kept in being. It is the culmination both of God's action sanctifying the world in Christ and of the worship men offer to Christ and through him to the Father in the Holy Spirit." In brief, the Eucharist is the sum and summary of our faith: "Our way of thinking is attuned to the Eucharist, and the Eucharist in turn confirms our way of thinking." As Catholics, weekly Mass attendance is essential to the growth and development of our faith. The diocesan norm for Children who wish to celebrate their First Eucharist is in the second grade or after two years of Religious Education Formation. Please contact the Director of Religious Education for additional information. Unbaptized Adults who wish to celebrate the Eucharist should contact the Pastoral Minister for additional information about the RCIA. Confirmation is a Catholic Sacrament of mature Christian commitment and a deepening of baptismal gifts. Like Baptism and Eucharist, it is a Sacrament of Initiation for Catholics and a Sacrament of faith in God's fidelity to us. Young women and men of the parish celebrate the Sacrament of Confirmation so as to reaffirm their commitment to Christian living and to more deeply explore their relationship with Christ. The Confirmandi (those to be Confirmed) involve themselves in preparation for the Bishop’s visit to our parish so that they may be in full membership in the life of the church. The age at which young people will normally be presented for the sacrament of Confirmation in the Diocese of Youngstown is during the eighth grade. Older students or adults seeking Confirmation may be confirmed at the Diocesan Celebration or request it at the parish level. For more information, contact the Director of Religious Education. Arrangements for the Sacrament of Matrimony are to be made at least six months before the date of the wedding. Pre-sacramental preparation is required of all couples. Please call Fr. Daprile, 330.562.8519, ext 223 to make arrangements. From ancient times, there is evidence of the anointing of the sick in the Church’s tradition drawing upon the Book of James (5:14-15). Through the Sacrament of Anointing of the Sick, Christ strengthens the faithful who are afflicted by illness, providing them with the strongest means of support. This Sacrament, formerly known as Last Rites or Extreme Unction, is a ritual of healing, which may be in the form of physical, emotional and/or spiritual healing. The Sacrament of Anointing of the Sick will be celebrated upon request, and is celebrated regularly in the late summer or early fall of each year with the parish. If you or a family member is seriously ill, hospitalized or home bound, please contact the parish office to arrange for a pastoral visit. In addition, Pastoral Care Ministers can visit more frequently as needed. Within the priesthood exists two forms, diocesan priests and religious order priests. For the Diocesan Priesthood, contact Fr. Chris Luoni at the Vocations Office, 330-744-8451 or Email cluoni@youngstowndiocese.org. Religious Order priests are those that vow poverty, chastity and obedience and are members of a Community such as the Franciscans, Jesuits or Maryknoll. There are many different charisms (spirit of the Community) that exist in the Church and the right "fit" is to be determined by meeting with a vocation director of the specific Community. Just as with the Religious Communities of Men, women also vow poverty, chastity and obedience. Choosing to live out one's call from God takes discernment and initial formation with the chosen community. 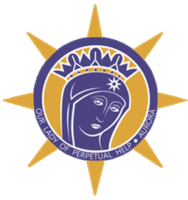 Sr. Lu is a member of the Sisters of Divine Providence (C.D.P.). Should you like to discuss this with her, please give her a call at ext.112.